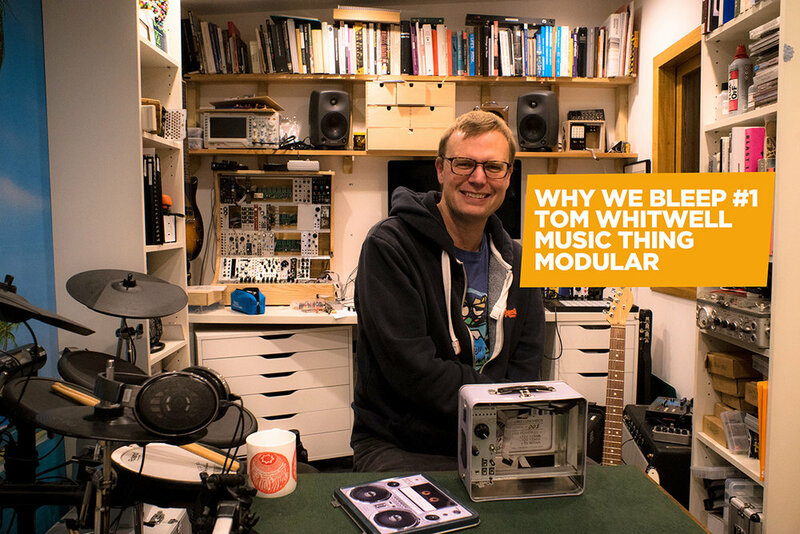 In this first episode, we're very excited to present a nice long chat with one of the most highly respected minds in music technology journalism and Eurorack modular synthesis: Tom Whitwell of Music Thing Modular. Episode Below. Please do subscribe on iTunes Podcast App (Click Here) and share with all your best like-minded pals if you enjoy this episode! Tom first came to my attention through his incredibly fantastic blog called Music Thing, which ran from August 2004-2008. Music Thing was a excellently curated and well-written blog, with Tom's humour and wide-ranging tastes in music evident in the breadth and authenticity of the subjects it covered. I think the world of Music Technology journalism was considerably poorer when it ended. But although Tom's day job as Digital Editor of The Times took Music Thing out of action, it never stopped his interest in the field. In fact, Tom cultivated a healthy interest in tinkering with music technology hardware. First, DIY guitar pedals, but later, that most ultimate of addictions: Eurorack Modular synths. In this episode, we talk about all of the above and more. Starting at the death of Music Thing, and Tom's first steps into Eurorack, moving on to learn the history and intent behind some of his most successful Eurorack projects, the "Turing Machine" and Radio Music, and learn about several projects never released to the public. He talks about his love for minimalist composers and time spent in La Monte Young's house listening to 77 sine waves, about quadraphonic music, Spotify's Generative Music Scam Accusations, thoughts about the future of music technology, synthesizer design, and much more besides. So have a listen! And once again please subscribe, and share with your friends.